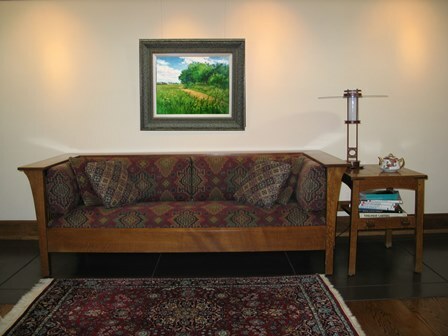 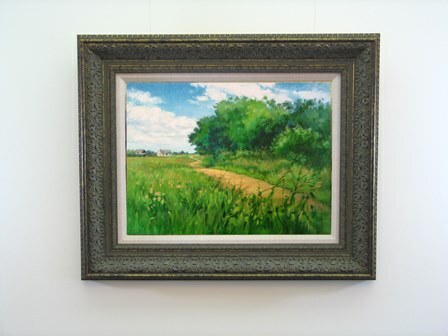 Original Oil Paintings by Artist Suzanne Poursine Massion - "Walking The Hedgerow"
"I walk by Osage Orange trees planted in a row years ago by pioneers. 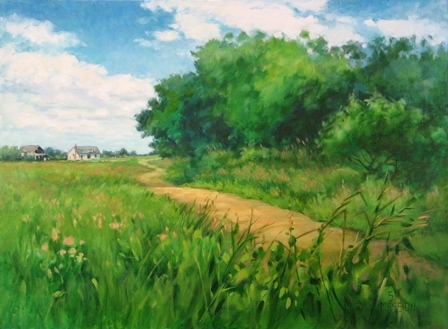 A path, bordered by a grassy prairie, leads me to a small house in the distance. 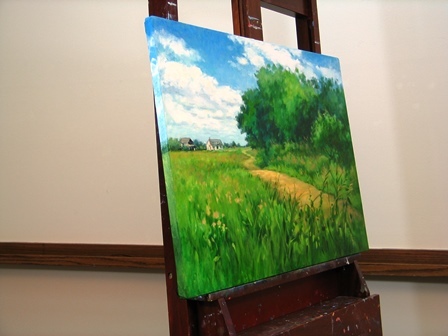 Midsummer vibrant greens below and a cloudy cerulean blue sky overhead."